Chińska agencja prasowa Xinhua to największa tego typu agencja na świecie. Jestem niezwykle dumny, że strona, którą prowadzę dla Ciebie drogi czytelniku, czytelniczko, została zauważona przez Xinhua. Na ich stronie internetowej pojawił się tekst o tym co tworzę już przez cztery lata. Sam jestem w szoku, jak szybko to minęło. Pozwoliłem sobie skopiować tekst bezpośrednio na stronę. “I wish to create a place where Polish people can find reliable information about China, a bridge for cultural exchange,” said Piotr Chodak, founder of the Polish-language website dedicated to China-related news and useful information. With an academic background of journalism and international relations, the marketing professional in his early thirties created “Chinytolubie” in 2013, although he had never been to China before. Nor had he worked in a China-related field. Chodak explained that his personal attachment to China dated back to his childhood passion for Chinese martial arts. “When I was a little boy, I was interested in martial arts and fascinated by Bruce Lee. But I didn’t strive to become a martial arts champion myself. My interest shifted to other areas of the Chinese culture,” he told Xinhua. 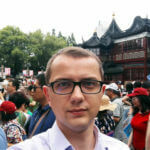 While gaining more comprehensive knowledge about China himself, Chodak noticed that more of his fellow Poles were taking interest in China but found it difficult to gather relevant information, and thus decided to help them by launching the website. 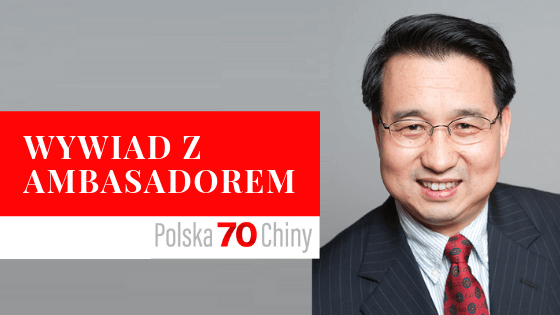 He started by publishing information carried on the website of the Chinese embassy in Warsaw, and soon extended the range to a variety of sources in different fields such as business, culture, education, travel, technology and China-Poland relations. “I try to write about everything. When there are important political events, I try to explain them in an understandable way. Someone learning Chinese or planning a business trip to China will definitely find some useful information on my website,” he said. “Chinytolubie” is now also present on social media, with over 12,000 followers on Facebook. Chodak said that as the website’s scale expands and popularity increases, sometimes publicists come to him with news stories, but he still insists on following China-related topics around the clock and writing most of the content himself. “My family and friends often wonder how I can have time to do it all, but this is my passion,” said a grinning Chodak. Thanks to his rapidly growing audience, Chodak has embarked on other projects in cooperation with some organizations and companies to promote Chinese language learning and provide event support via his website, and he has received invitations to speak about China in universities. Asked for his thoughts about Poland-China relations, he stressed the tremendous potential brought along by the China-proposed Belt and Road Initiative and the “16+1” cooperation between China and Central and Eastern European (CEE) countries. The Belt and Road Initiative aims to create greater trade, infrastructure and people-to-people links between Asia, Europe and Africa by reviving and expanding the ancient Silk Road trade routes, while the “16+1” is a mechanism to boost cooperation between China and 16 CEE countries, including Poland. “It makes broader cooperation and mutual understanding possible,” Chodak said, adding that Poland can play a key role in logistics given its strategic location, and having a lot to contribute in such fields as IT and environmental protection.